New York (TADIAS) — A new report on online speech and debates in Ethiopia and the Diaspora entitled Mechachal (translated as “tolerance” in Amharic) following a two-year collaborative project by researchers at the University of Oxford and Addis Ababa University is to be released shortly. Contributing to the global debate present in many countries including Ethiopia regarding freedom of expression the researchers sought to analyze and compare online speech that is offensive or may incite violence with other forms of expression including “criticism of public figures, to support for a political party, to engagement across religious or ethnic divides.” Researchers collected and examined over 13,000 statements that were posted online on the Facebook social media platform between February and June 2015 — during a timeframe coinciding with Ethiopia’s parliamentary elections held in May 2015 — and gathering data three months prior to and one month following elections. 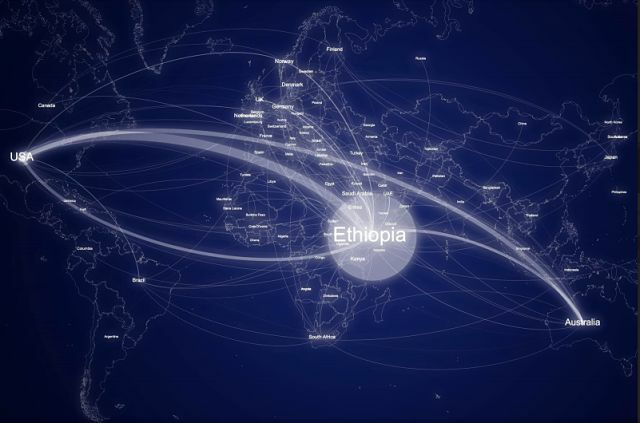 While sampling online speech in a multi-lingual nation like Ethiopia was a challenge, the research team developed a comprehensive mapping strategy of Facebook-related discussions and interaction among Ethiopians online, both within the country and the Diaspora. The selection criteria used included having 100 or more followers on a Facebook profile or group page, having some of the content shared using an Ethiopian language, and posting issues and topics related to Ethiopia. Over 1000 Facebook sites addressing issues ranging from politics to religion, travel and sports were examined before making random selections for the general study sample. An estimated 2,000 posts and status updates generated per month were analyzed using the “going against vs going towards” methodology framework. The online statements were then analyzed using three layers of research questions as follows: 1) whether or not an individual or group was being targeted based on ethnicity, religion, gender or sexual affiliation; 2) whether the content of the statement was considered hate speech or dangerous speech; and 3) whether or not the online statements posted encouraged an audience to take action or do something against an individual or group based on their ethnic, religious or gender affiliations. An additional research question focused on the power imbalance between the individual posting the statement and their target. Among the diaspora the top 10 countries with Ethiopian participants on social media analyzed for this project included the United States (49%), Norway (7.6%), United Kingdom (5.8%), Saudi Arabia (5.1%) UAE (2.7%), Canada (2.5%), Australia (2.4%), Germany (2.1%), South Africa (2.1%), and Kuwait (1.4%). Additional results reported included the finding that “almost all dangerous statements [were] uttered by individuals seeking to hide their identity (92%)” as well as the widespread disillusionment with Ethiopian parliamentary elections with “the perception that the outcome of the elections was already predetermined.” While the findings also showed that “the political, social and cultural views reflected in social media in Ethiopia are less polarized than might be expected” the few extreme statements made had “the power to shape debates” with statements classified as ‘going against’ receiving the largest amount of comments and shares. 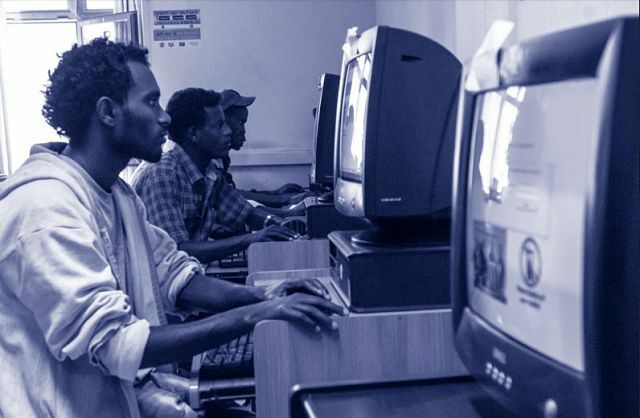 The report also noted that “unequal power relationships increase antagonism between speakers and followers.” The least antagonistic discussions among Ethiopians on online platforms were regarding religion. The researchers emphasized that while Ethiopia’s media environment has been perceived as being highly polarized in the past two decades, “the greatest opportunities for engagement seem to lie in politics that appeal to universalistic values.” Citing the campaign to release Zone 9 bloggers and their quest for greater freedom of expression, which attracted support both nationally and internationally, the researchers found that most of the statements made regarding the Zone 9 bloggers were ‘going towards’ or in support of the issue (96%). The Oxford and Addis Ababa University collaborative research and subsequent findings of the nature of online debate among Ethiopians comes in the heels of yet another arrest of a former opposition party spokesperson over comments allegedly made on Facebook. In 2016 the non-profit organization Freedom House also lowered the ranking for Ethiopia from 6 to 7 with regards to freedom of expression citing “new, sophisticated methods of censorship, information control, and propaganda messaging” as well as “increased use of draconian laws to suppress dissent” in the country. The final report of the Mechachal study to be released soon offers empirical insights on online speech and debate in Ethiopia and the Diaspora, calling for more informed policy-making with regards to regulating freedom of expression and online discussion on social media platforms.